I was surprised, instead to find that the story of Steve, the Adélie penguin, was a light-hearted affair, that is enhanced both by the narration of “The Hangover” star Ed Helms, and the whimsical score of Harry Gregson-Williams. “Penguins” brings us along with Steve on his quest to build a suitable nest, find a life partner and start a family during the icy Antarctic spring. Along the way, Steve has to avoid obstacles ranging from other penguins searching for their own nest, to killer whales and leopard seals who threaten his happily ever after. As a visual piece, “Penguins” is a beautiful collage of sweeping Arctic vistas, stunning wildlife shots and incredible underwater perspectives. The film mixes these larger-than-life visuals with the intimate shots of our hero penguin with such skill and precision, that at times it feels less like a documentary and more of a narrative piece – one that could have come directly from Walt Disney Animation. One of the ways this effect is achieved is through Helms’ narration. Helms lends a level of irreverence to the story, whilst never losing the real stakes and challenges that Steve faces as he makes his way through the film. Another area where the film soars is through the score, as composed by Gregson-Williams. The score fills the larger moments with a sense of awe and greatness but also supplies the lighter moments with music cues that seem directly out of the holiday classic “Elf”, which really help to make Steve an almost human character. Besides the orchestral score, the movie also features a soundtrack comprised of music ranging from Patti Labelle to REO Speedwagon. If you’ve ever wanted to feel emotionally invested in the life of a penguin while Whitesnake’s “Here I Go Again” plays triumphantly in the background, then this is the film for you. 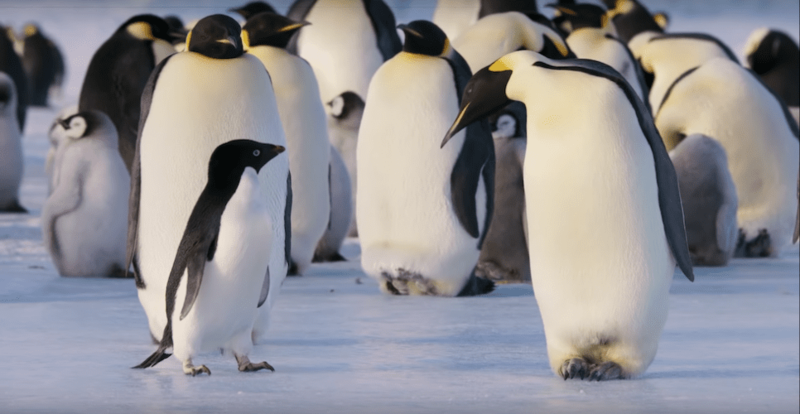 Overall, “Penguins is a light-hearted alternative to the types of nature documentaries you might have seen before. The narration, score and visuals all combine to make the story of Steve the penguin one of the most human stories you’ll see all year. As a bonus to filmgoers, “Penguins” continues the tradition of helping to aid in conservation efforts. 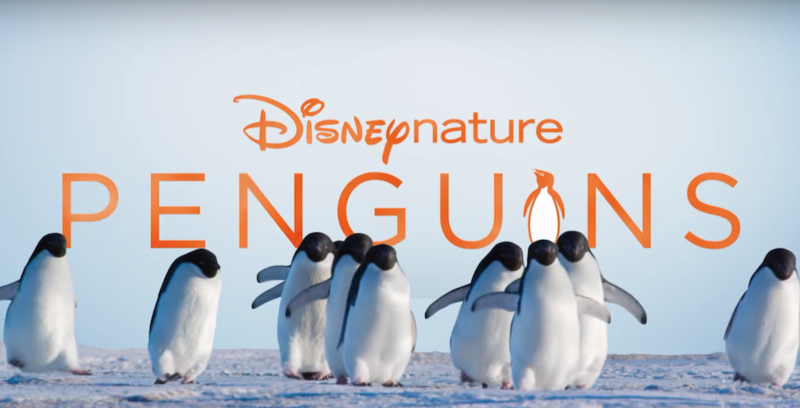 For every ticket sold during the film’s opening week (April 17 to 23, 2019), Disneynature will make a donation to the Wildlife Conservation Network (WCN) to help protect penguins across the southern hemisphere.